These systems supply ultra-clean dry gas to shaft seals of gas compressors. 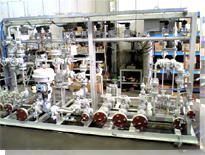 They comprise control valves, gas films, filters, measuring instruments and tubes. 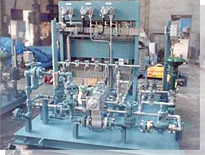 These systems are widely used for gas compressors blowers in petrochemical plants and petroleum refinery plants and installed in combination with oiling systems.